Long hair can be both a miracle and a curse, especially for men. Before the 21st Century, many people believed that long hair is only for girls and long hair on grown men was frowned upon. But you know that isn’t true. You also know that, with a little bit of external help, having long hair is one of the manliest things a guy can have. Each hairstyle requires a certain amount of work and may take time to grow out and perfect, but it’s important to remember that patience brings amazing results. Ensure you trust your barber and get ready to take on the new year with a bang. These 37 hairstyles have been hand-chosen to ensure that you’re able to go into 2019 a whole new person. 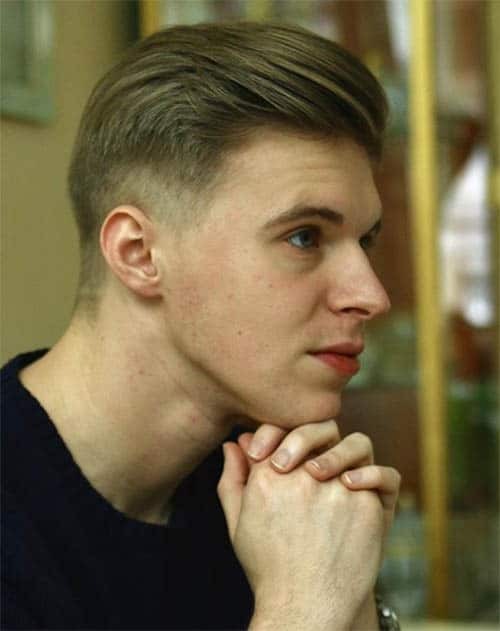 The first change you could do when adopting a new hairstyle is fading the sides. 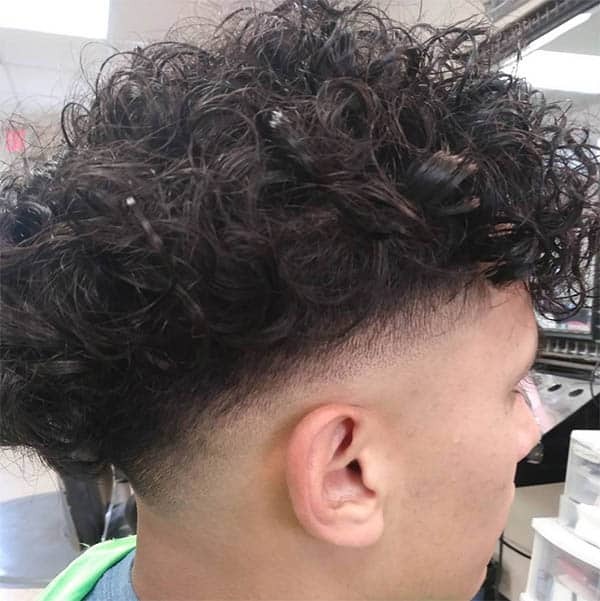 Depending on how long you want the hair to be on the sides, you may fade it low, high, or take it all off with the skin fade. High fading your undercut hairstyle will keep you looking clean, modern, and professional. 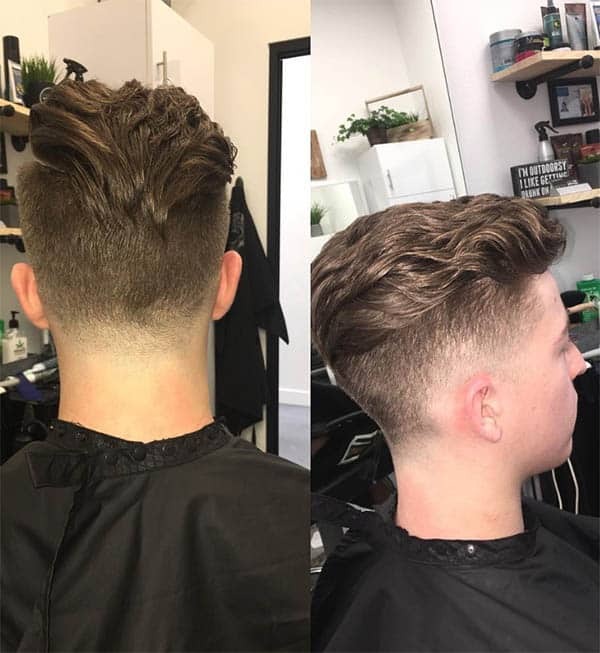 The hair on the sides of your head should very short with a small fade near the top, therefore creating a little bit of depth. 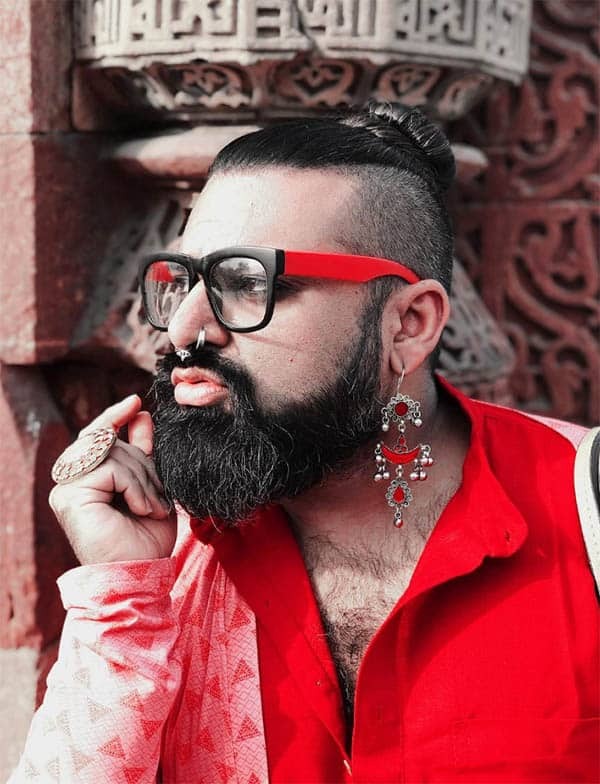 Adding a beard to your high fade will just increase the “wow” factor of your appearance and spice things up. Depending on the length of your beard, you will be adding a lot of contrast to your image. 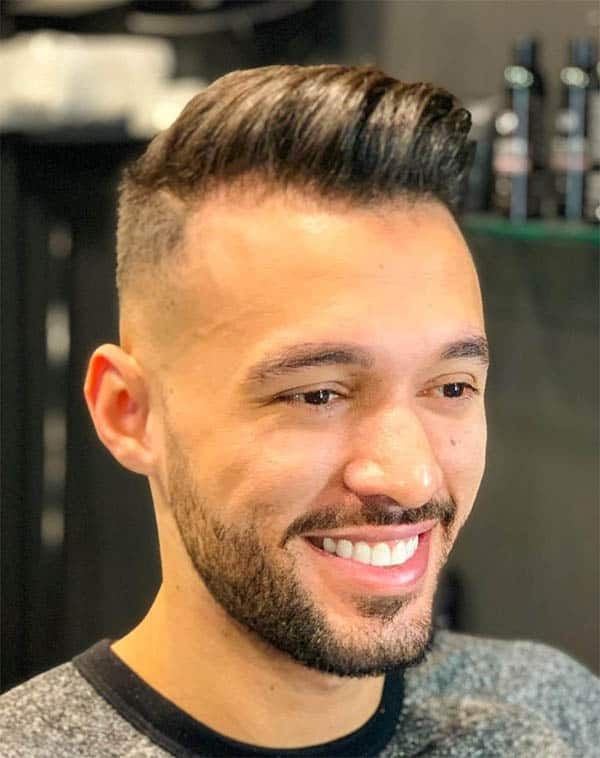 Opting for a low fade will make it seem like you have a fuller head of hair while still maintaining a professional and clean-cut image. This is good if you are in a fancier, more professional environment everyday or for work. 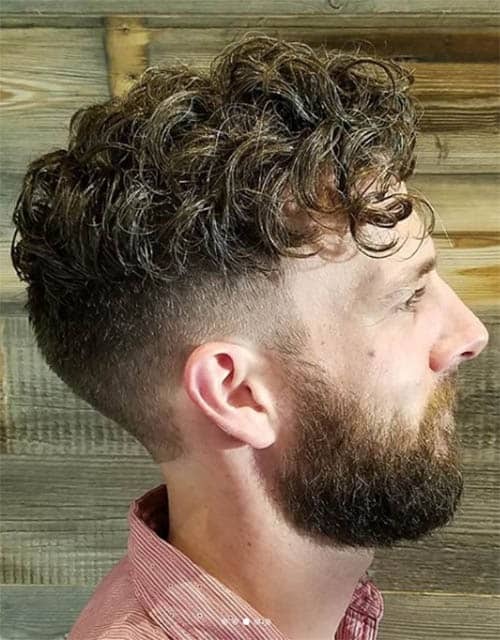 Adding a beard to a low fade creates a little bit of contrast, but not nearly as much as it would with a high or skin fade. Keeping the beard well groomed and not overly long will yield the best image as the two lengths are proportional to each other. 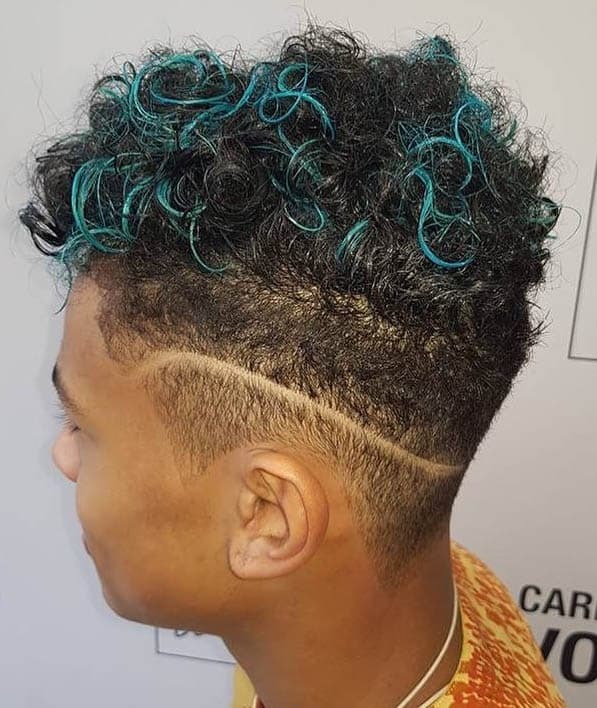 Skin fading your haircut is one of the most aggressive moves you can make when styling your hair and figuring out what kind of image you want. This includes almost shaving your head all the way to the top where the hair gets longer. Adding a beard to a skin fade is almost guaranteed to get people’s attention and get their heads turning in your direction. The heavy contrast between the two lengths of hair create a very bold and noticeable image. Slicking your hair back only looks good when it isn’t too long. If it is too long, you will find it doesn’t stay back or drapes over the sides of your head. However, with the right length, this is one of the more professional hairstyles. Fading your hair when it is slicked back puts a lot of emphasis on the top of your head as it makes the longer hair more noticable. 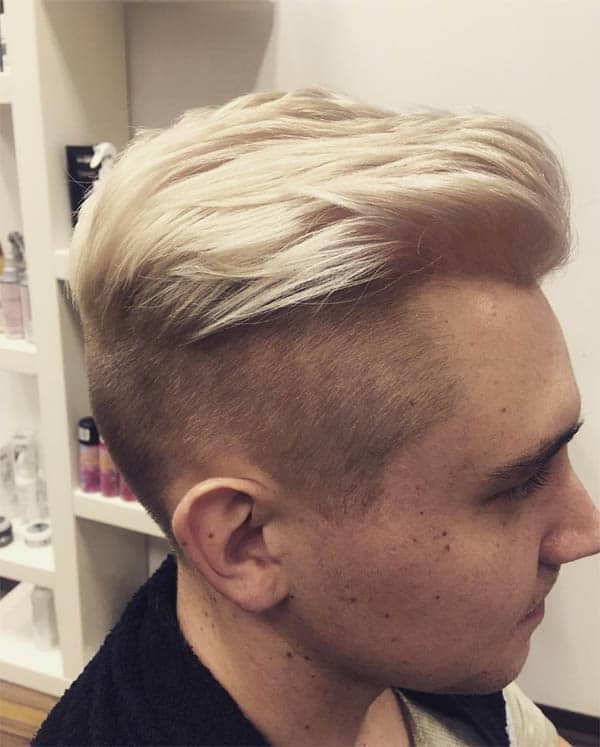 As with any style, you can fade it high, low, or skin-tight (this is the most extreme fade). 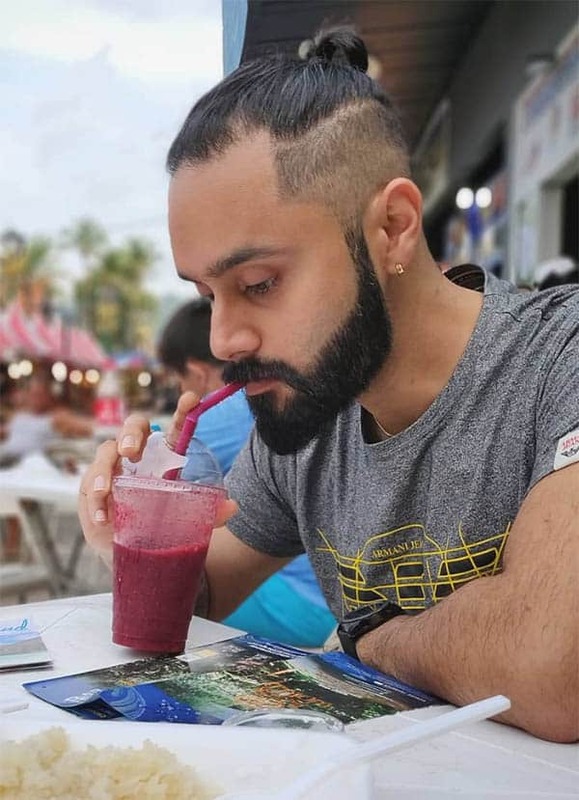 Depending on how you fade the sides of your head, growing a beard can add a lot of contrast or just boost your appearance a little. 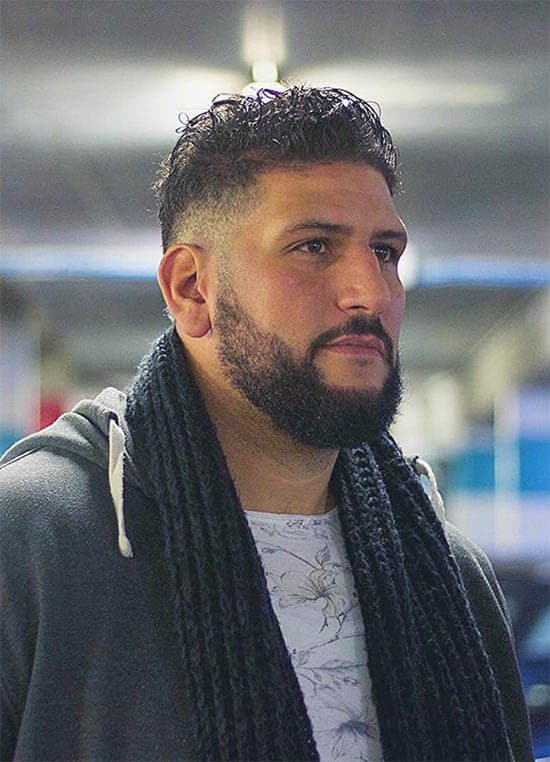 Having low fade with a beard will add aggression, while a high or skin fade adds contrast. Having naturally curly hair can be very difficult to work with. 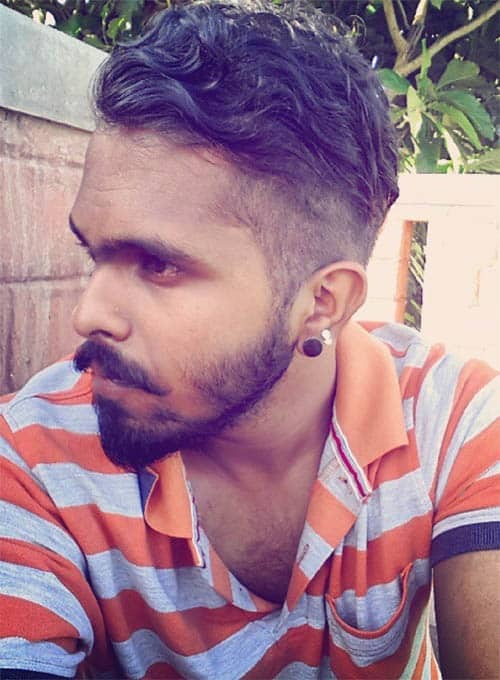 But, if you find yourself in this position, opt for an undercut hairstyle. It may be difficult to get right off the bat, but regular visits to a barber will sort it out quickly. 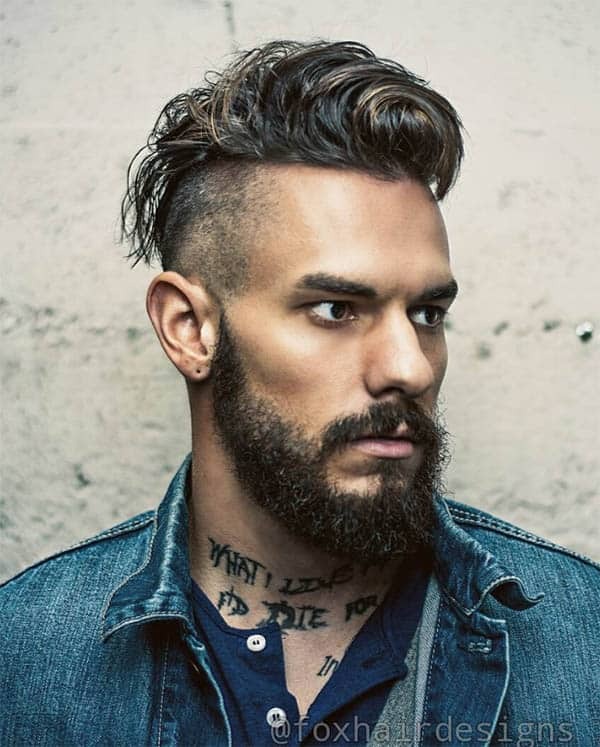 Adding a beard to an undercut, curly hairstyle only adds to your appearance and creates a little bit of contrast. 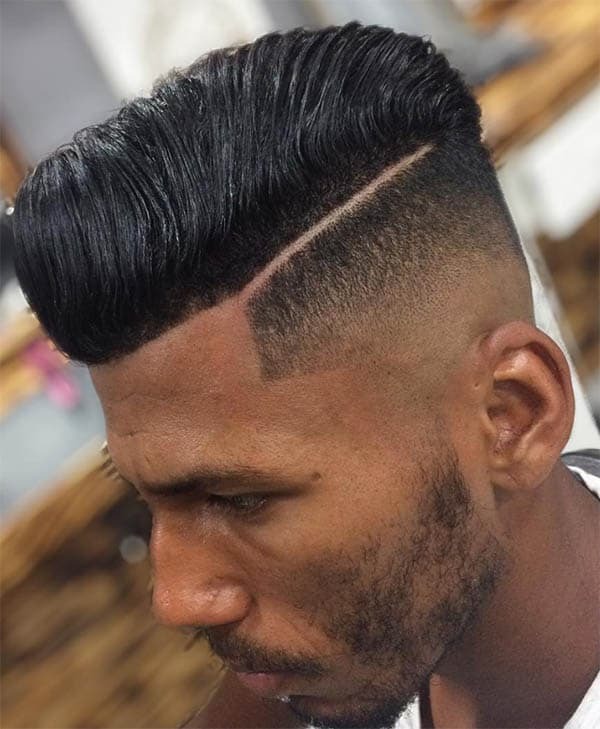 If you want to make it noticable, opt for a fade as well. 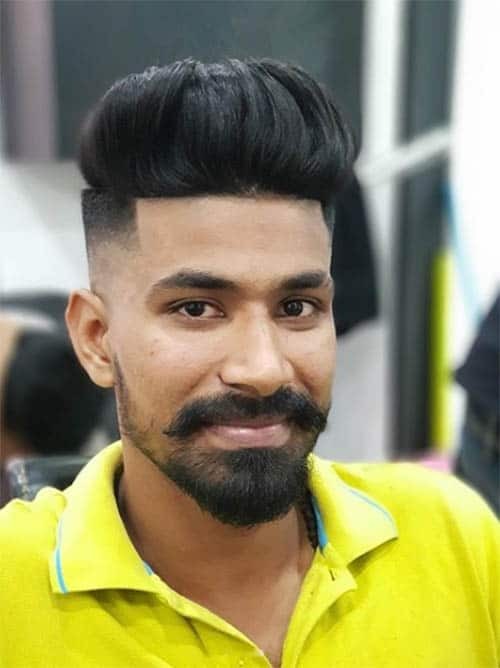 To make it “pop”, go for the skin fade and a longer beard. High fading a curly undercut creates a very clean and modern image. High fading with this type of hair is beginning to gain popularity throughout most of the 21st Century world, so you can rest assured you’ll stay relevant. 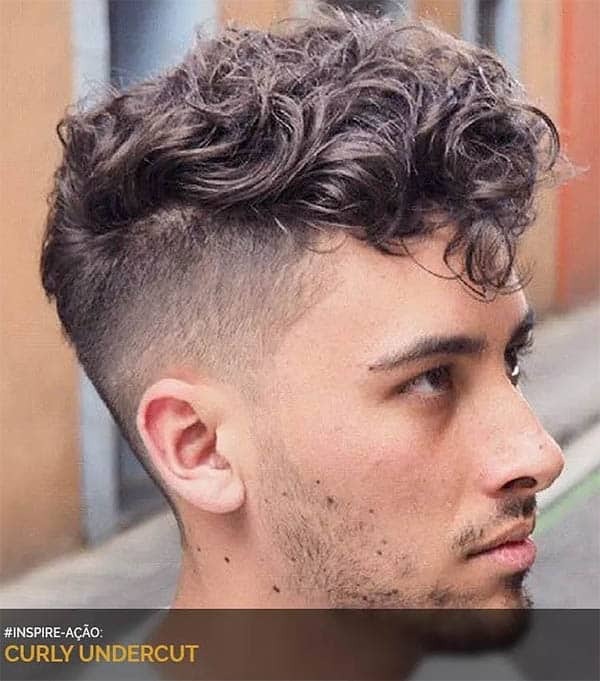 Low fading your curly undercut will make it so that it looks like you have more hair (when compared to a high fade or a skin fade). This just makes you look a little more professional. Skin fading while repping a curly undercut is bound to give you an uncommon yet modern hairstyle. It will allow you to look clean while putting a heavy emphasis on the hair on top of your head. Man buns have become very popular in the 21st Century. 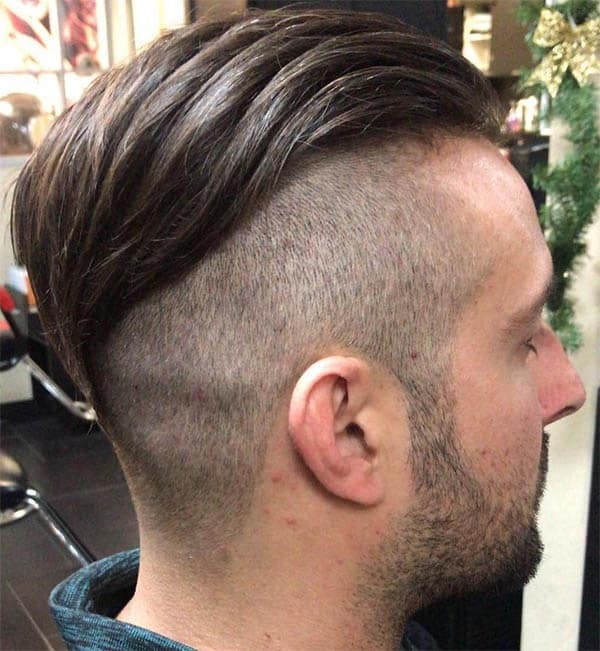 This specific hairstyle requires you to have very long hair that is straight and capable of being slicked back a lot. Keep in mind they are a long style to grow out. 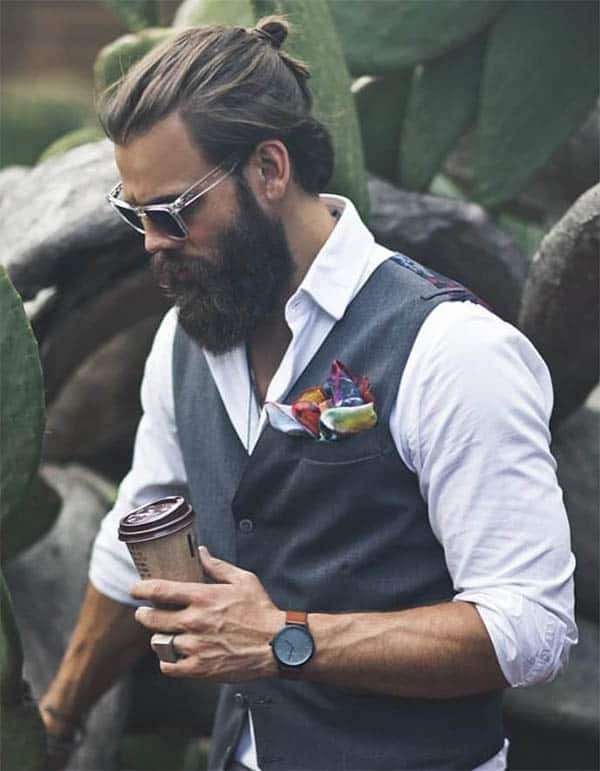 Adding a beard, depending on the length, is a great way to make both yourself and your appearance more noticeable, especially in the 21st Century. 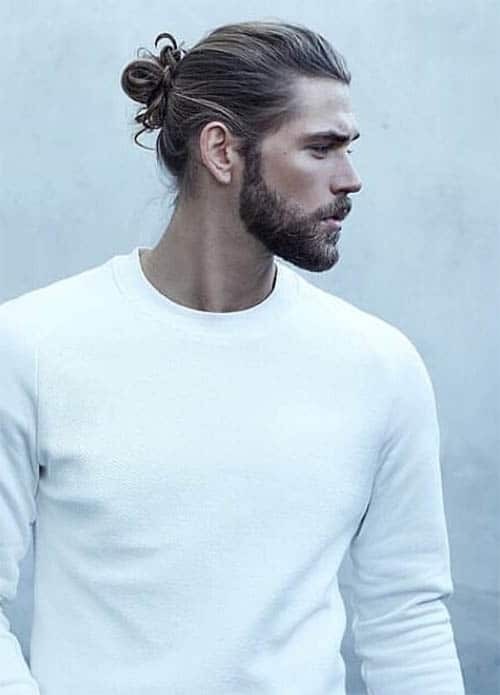 Make sure to have a good man bun before growing a beard. 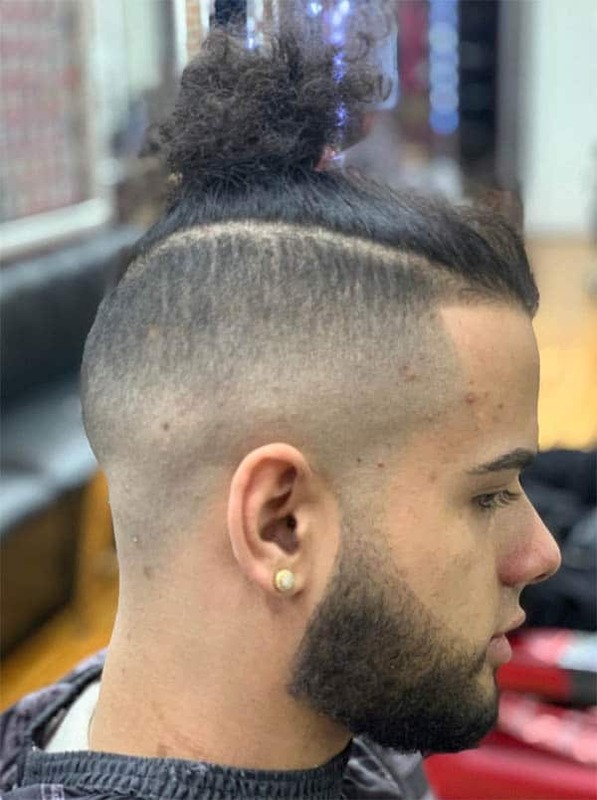 High fading the sides of your man bun hairstyle start to bring out the top of your hair and put more focus on the top of your head. This is for people who want to look clean but make their hairstyle the center of their appearance. 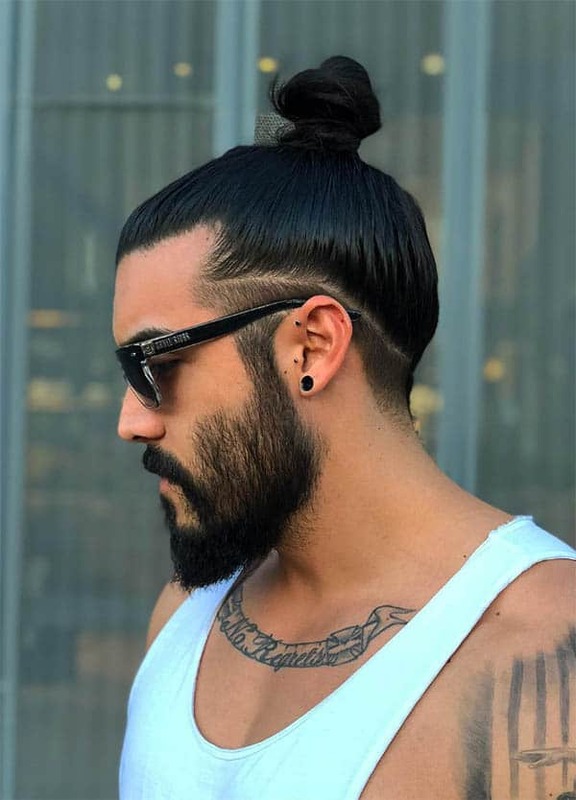 Growing out a beard on top of your high fade just add to the whole “popping” effect man buns have on your appearance, but also begin to add a little contrast. It’s more of an aggressive hairstyle. 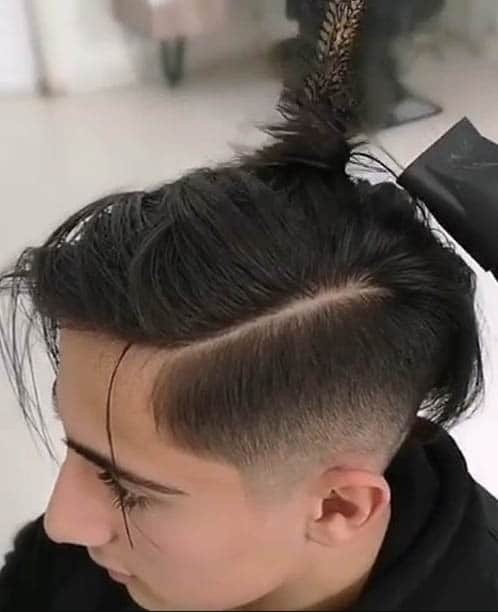 Low fading your haircut will take away the amount of emphasis on your man bun and put a more professional spin on your appearance. 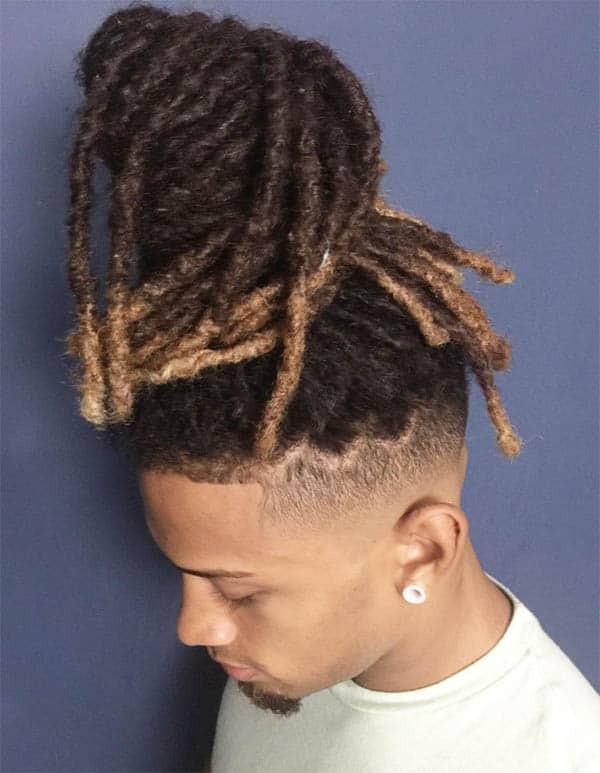 This hairstyle is perfect for people who wear man buns but work in a professional environment. Adding a beard to a low fade is just a way to make your image a little sharper. 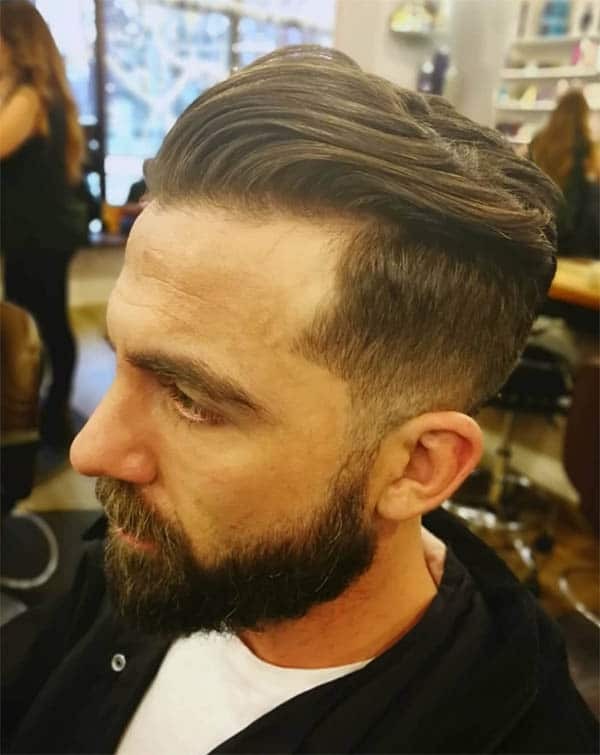 If you do choose to have a beard with a low fade, grow it out at the same speed as the man bun to keep them at a uniform length. 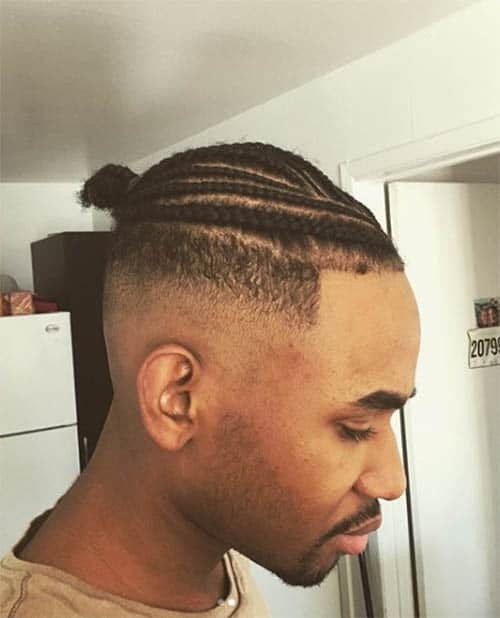 This is one of the most aggressive hairstyles you can have. 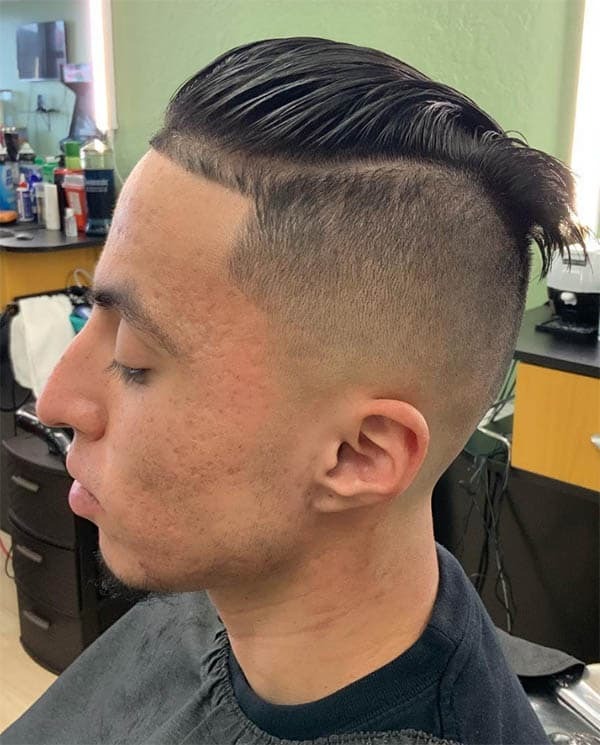 Removing a lot of the hair on the sides and around the back of your head will put all of the emphasis on your hair and pull away from most other bodily features. Adding a beard is perfect for people who want to look noticeable and get people’s heads turning. Make sure to keep it groomed so it doesn’t look sloppy and, if you want to add more contrast, grow it out long. A wavy undercut is perfect for people with long hair who want to maintain a clean and professional image. It takes some time to groom and grow out properly but, with patience, it will come along nicely. 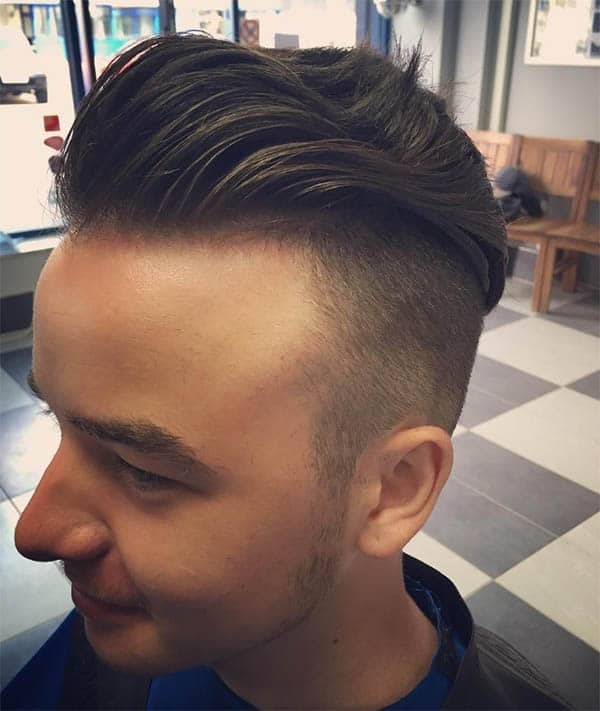 Fading the sides of this hairstyle is one way to put a modern spin on a very traditional and respectful haircut. You can fade it high, short, or skin; these all depend on the kind of style you want. High fading is for people who want to bring out some of the other features of their appearance (like their jawline). It also brings out the haircut a little more and emphasizes the waves. 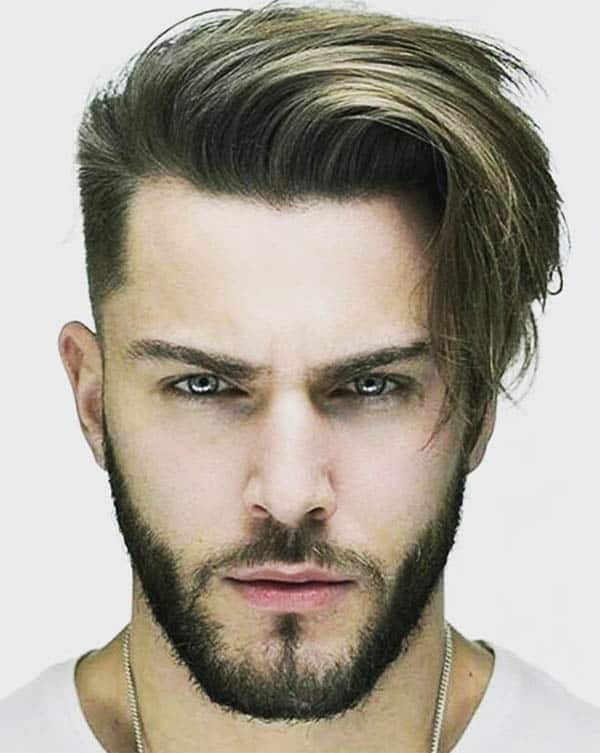 Adding a beard to this hairstyle is perfect for people who want to start making their hair the center of attention without skin fading it. This, however, takes away from the other features like the jawline. 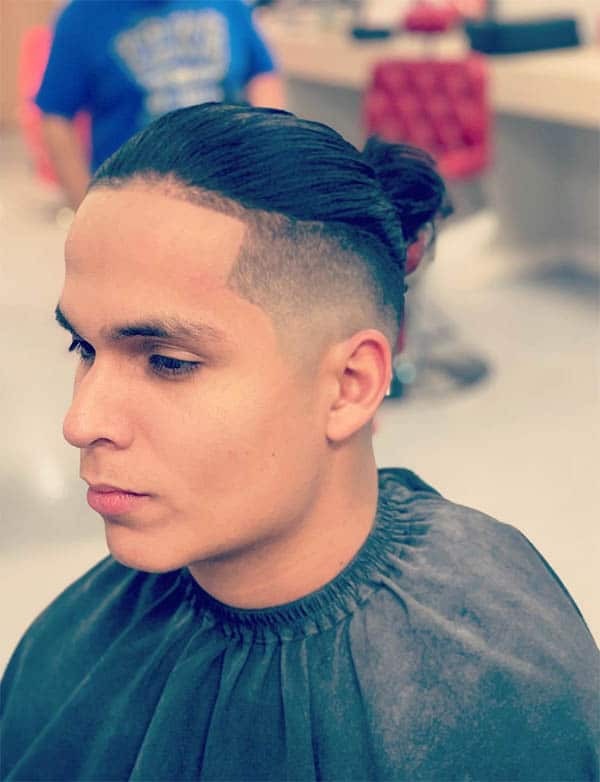 Low fading is considered another very professional, modern, and clean hairstyle that will earn the respect of your peers but keep your style relevant in the 21st Century. It works really well for people in business workspaces. 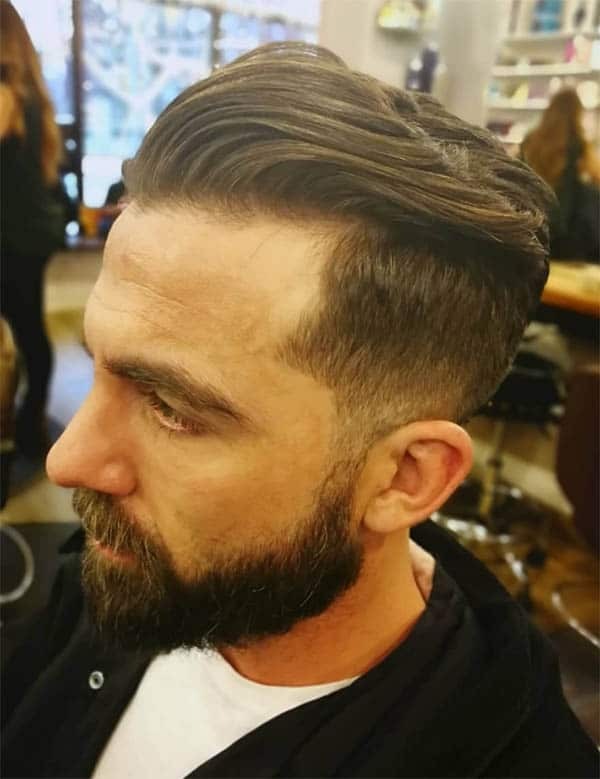 Adding a beard onto this hairstyle is a way to amp up your style while not taking away from the actual haircut. Just ensure that your beard doesn’t get too long and is well kept and well groomed. Skin fading your wavy hairstyle is a way to emphasize the hair on the top of your head. It’s great for making your hair the center or attention. Just ensure your hair doesn’t get too long or you can’t fade it properly. 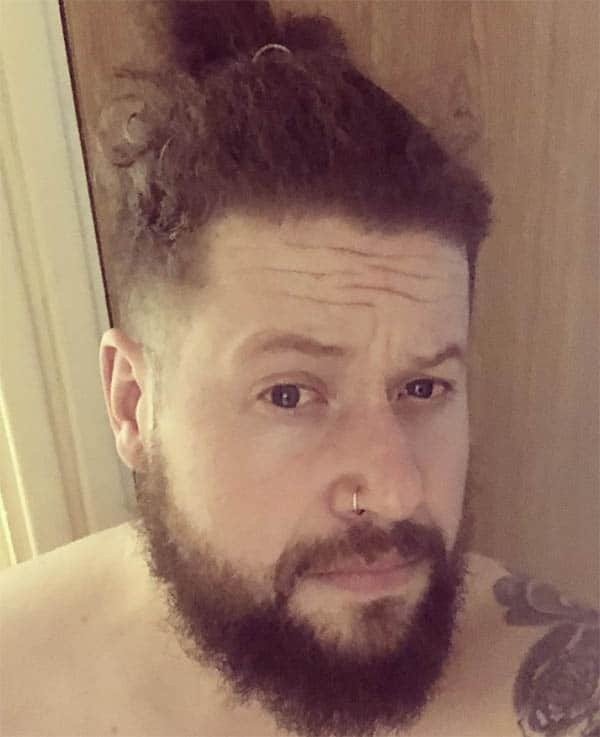 Adding a beard to this style of hair is another very aggressive style. 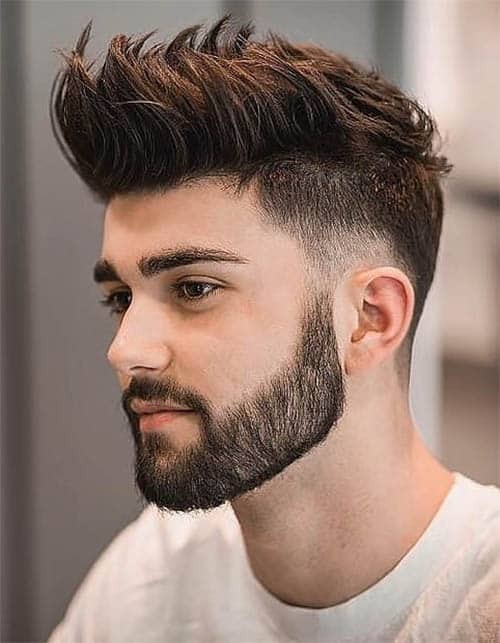 The contrast that comes with the skin fade and the beard is sure to keep people looking in your direction but still keep a clean and modern image. 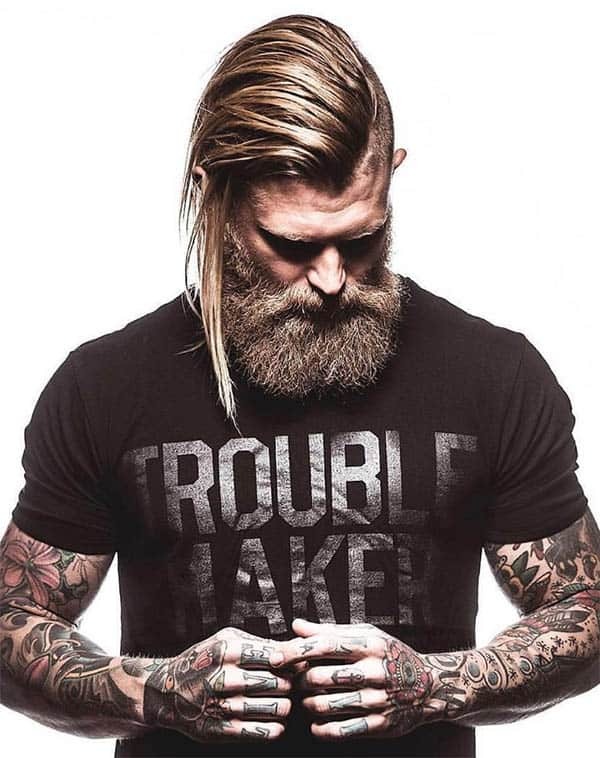 Having very long hair and a huge beard isn’t always a problem. 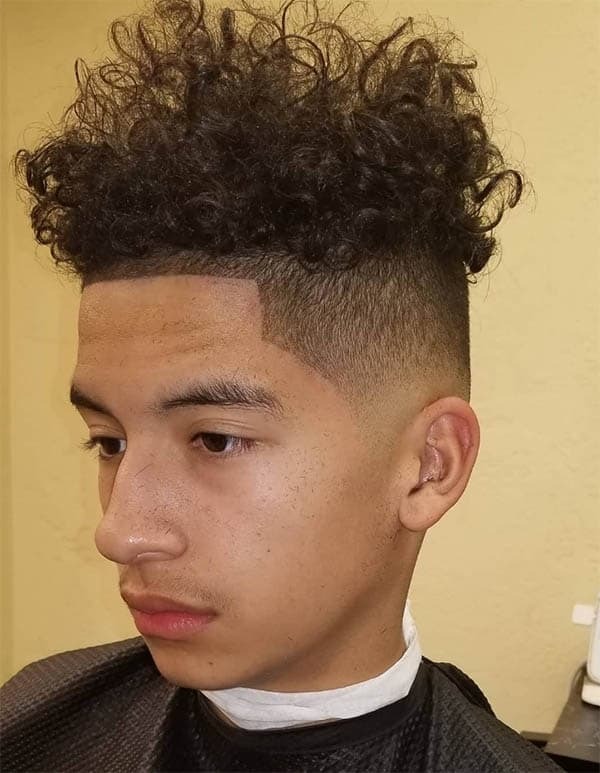 Shaving down the sides of your head and allowing your hair to drape left or right is perfect for achieving this popular hairstyle. 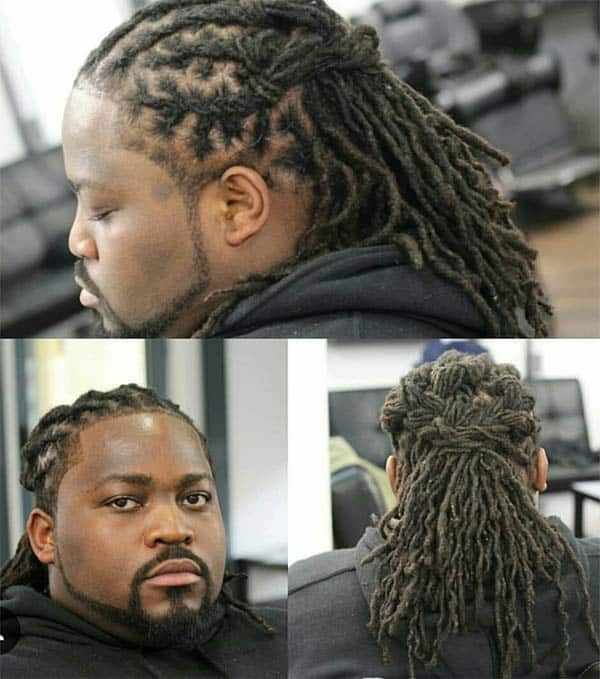 Dreadlocks are great for people with long and thick hair. You can style dreadlocks in an infinite amount of ways and have the ability to be free with it. 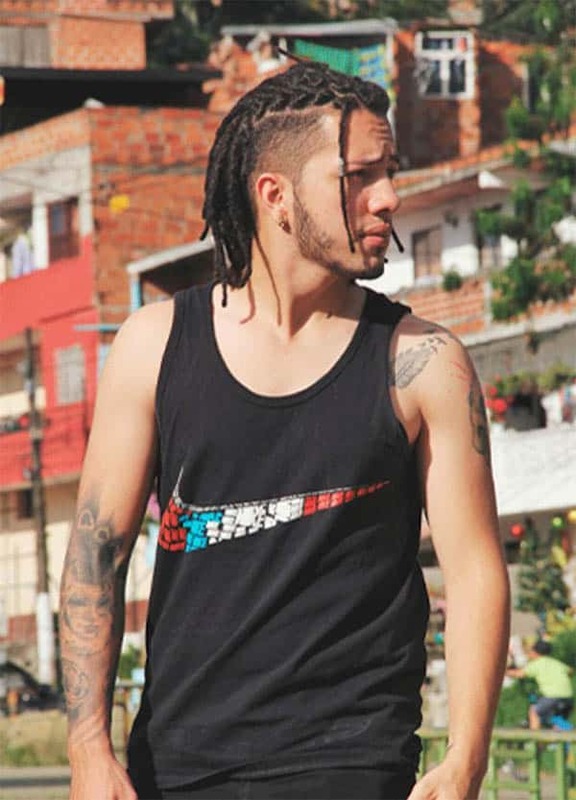 Even with medium long hair, you can rock dreadlocks and look good. 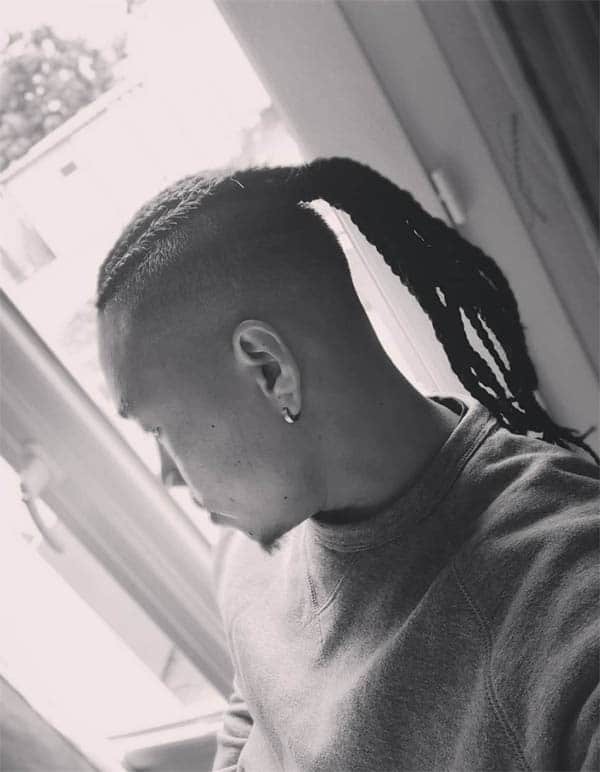 Fading the sides and back of your head when growing out dreadlocks puts a very modern spin on the popular hairstyle. Once your hair has grown out nicely, you can fade it with a high, low, or skin fade. High fading your dreadlocks will add a nice amount of contrast and really bring out the length of the dreadlocks. It’s perfect for people who want to look clean and professional but maintain a sense of professionalism. Skin fading your dreadlocks are the more extreme and intense dreadlock hairstyles you can have. This hairstyle, while professional in some environments, is more for people who want to be flashy and modern. Opting for this hairstyle can be risky, seeing as it is not very common, but that is one of the great parts of it. Ensure your dreadlocks are long before trying this, and ensure to use lots of hair product. As you can see, there are more than enough hairstyles to choose from. Some require some more work than others, and some may require a certain kind of hair in order to be pulled off properly, but don’t let that deter you: be patient and have faith. If you’re feeling a little adventurous, mix some of the styles up. Or, if you’re growing one out and notice a better style coming on, choose that one. The point is to find a hairstyle you’re comfortable in and embrace it.